If you want the experience of having someone work for you give Julian Addy a call. 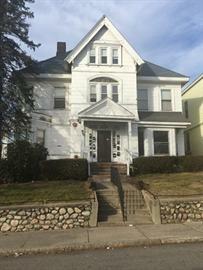 After sitting with Julian and telling him what I was looking for he demonstrated his passion to serve and attention to details and found me two investment properties in Brockton mass. My home by experience was further enhance as he stood by me through the transition of closing. In his demonstration of professionalism he was active and asking Key questions to sellers so that everybody was on the same page. If you want to have the experience of someone working for you give Julian Addy a call.